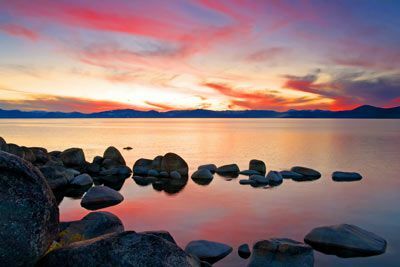 Lake Tahoe is the dazzling diamond in the northern Sierra Nevada’s jeweled crown. The uncompromising beauty of North America’s largest alpine lake is a vision of crystalline blue waters, towering pine trees, majestic mountains, and a translucent sky. 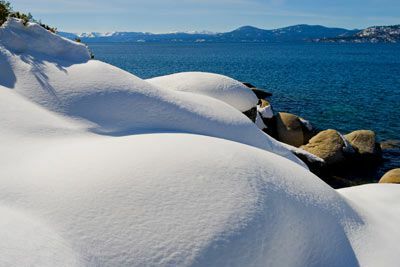 Lake Tahoe’s glacier-carved basin unveils spectacular peaks that greet the sun more than 300 days each year and provide a stunning backdrop for casinos, ski resorts, and all manner of world-class activities, both indoors and out. 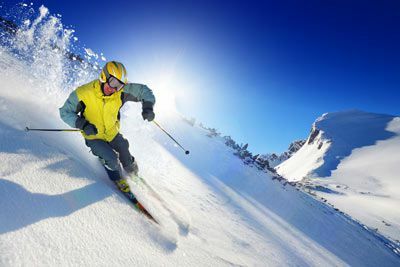 Alpine skiing is what many come for and no mountain region in North America can offer the variety of ski resorts and lifts that encircle Lake Tahoe. The couloirs, gullies, and chutes are welcomed by snowboarders, who have more natural half-pipes in Tahoe than anywhere else in the country. Even if you don’t ski, there’s definitely plenty to do at Lake Tahoe. One of the great pleasures of skiing at Lake Tahoe is that when the lifts close, the action doesn’t stop. Fine restaurants, nightclubs, casino showrooms, big-name acts, Broadway-style entertainment and 24-hour gaming can entertain even the most hopeless insomniac. If you just want to relax, there’s always a spa or hot spring close by. Snowmobiling tends to be the number one option, and guided tours use hundreds of miles of scenic trails, encompassing several national forests. There are also sleigh rides, and dogsled tours which are great for kids and couples. Recently, snowshoeing has become popular at several state parks and at most of the cross-country ski areas, and it’s possible to take short, easy hikes through frosted meadows and pristine forest or even along snow-covered beaches. The Stateline hotels have such a complete transportation infrastructure that guests arriving at the Reno or Tahoe airports can get along just fine without a car. Tap into the rock star inside of you with a hotel experience that brings together lavishness, quality and edge. 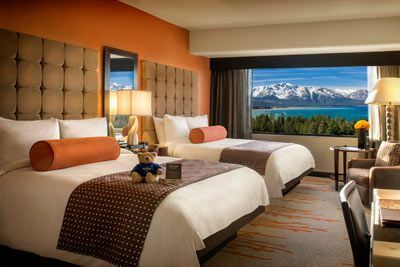 Guests will find modern amenities and facilities, picturesque views of Lake Tahoe and its alpine peaks and the kind of rock ‘n roll memorabilia you can only find at a Hard Rock Hotel & Casino resort. 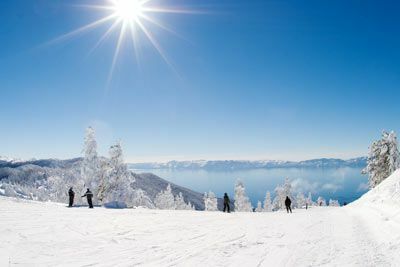 Snow lovers can be on the hill in a matter of minutes, the Heavenly gondola descends into the heart of South Lake and is just a short walk from Hard Rock Hotel & Casino Lake Tahoe. When it’s time to play, you don’t have to go to the action—the action comes to you. With a 25,000 square foot casino floor featuring more than 500 state-of-the-art video gaming machines and table games, including Blackjack, Craps, Roulette, Ultimate Texas Hold’em, Three Card Poker, Pai Gow and more, you’re going to need a bigger wallet. Dine like a rock star as Executive Chef Jonathan Snyder introduces four amazing new restaurant and bar offerings. To complement the cuisine, mixologists provide signature cocktails made with the finest ingredients and liquors, served alongside a wide selection of both locally crafted and global beer selections – the perfect way to cap off your evening. 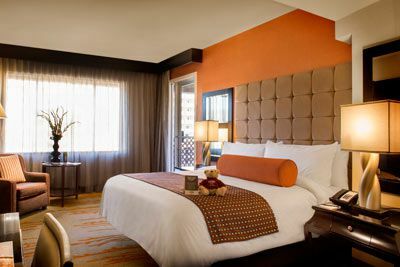 Standard guest rooms offer comfortable living in contemporary surroundings and feature robes, hair dryer, safe, iron/board, and much more. 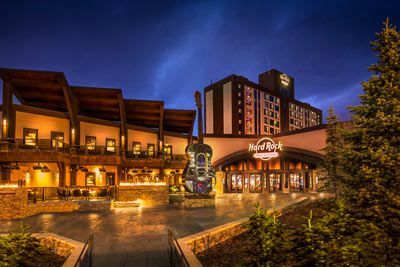 Hard Rock Hotel & Casino Lake Tahoe is located 53 miles from the Reno-Tahoe International Airport. 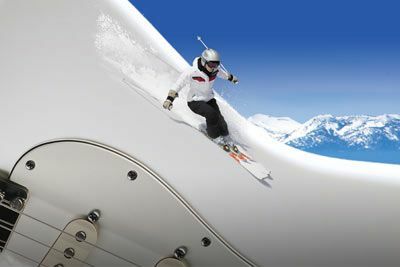 For more information on transportation to and from Reno-Tahoe International Airport visit http://renoairport.com or South Tahoe Express https://www.southtahoeexpress.com. Certified Registered Nurse Anesthetists: This program has been prior approved by the AANA for 20 Class A CEC; AANA Code #1034741; Expiration Date 2/9/18. $100 December 7, 2017 to January 6, 2018. No refund after January 6, 2018; however, 50% of tuition paid may be applied toward tuition for another NWAS program within the next 12 months. Cancellation must be made in writing.